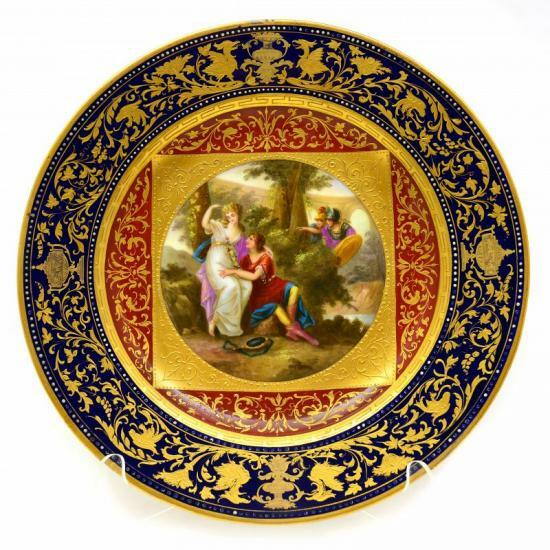 Royal Vienna Plate, Hand Painted. Richly gilded cabinet plate. Slight rubbing to some gilding. Missing some inner / outer jewels (dots). See photos for clarification.